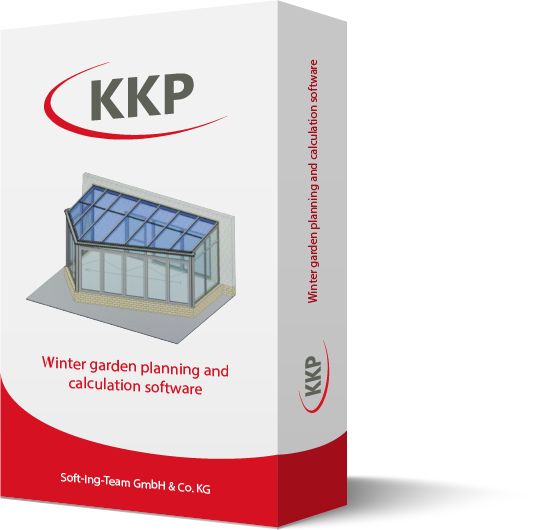 KKP has been designed as a flexible solution to give you a professional introduction to planning and designing conservatories and patio roofs. User-friendly program structures are also suitable for users without specialist IT knowledge. After just a short familiarisation period, the program can be used in its entirety. 3D representations convey a realistic impression of the conservatory and thus become an ideal sales tool. 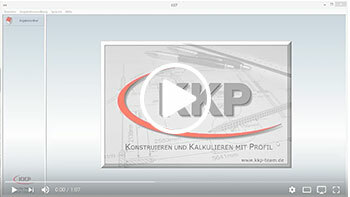 The KKP software significantly facilitates your work. Now you can implement designs more professionally, faster, more efficiently and more accurately. Familiarisation with the program is supported by the intuitive Windows interface and a comprehensive program introduction. With KKP you can present the large variety of conservatory models in visualised fashion, shaded, in colour or transparent. They can be dynamically animated and presented from different angles and perspectives. The conservatories can also be measured and provided with dimensions. During the creation of a design drawing, KKP determines the total price from the data stored by you and your system manufacturer. Price determination can be influenced by factors such as discounts, markups and markdowns. Subsequent changes to the design dimensions are automatically taken into account in the final price and the 3D views. The drawings and price calculations you have prepared can be printed out as a complete quotation. A form designer allows you to adapt the page layout to your requirements.